Little Italy is what I like to call the small town situated on the coast of Kenya, called Watamu. Then, just before you reach Watamu you will find the neighboring city known as Malindi. These areas are both adored for their pearly white, pristine and golden sandy beaches. Not only are these areas beautiful, but the weather is tropical and sunny and the people are very friendly. There’s something very special about these parts, but the first thing that intrigued me was the fact that both areas are filled with Italians. There are so many Italian people here that the villagers are even able to speak the language fluently and vice versa. I came across Italian’s who can speak Kiswahili perfectly. Surprising, right? 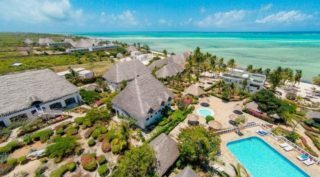 Despite the general lifestyle of Watamu being relatively simplistic, if you walk along the beach shores, you will see a lot of beautiful, big resorts and accommodation for tourists. It seems this hidden gem is now an irresistible destination for Italian holidaymakers. This includes billionaires, international celebrities and top politicians looking for privacy and tranquillity. Before I get into why this is. I’d like to share with you what Watamu is about and why I and so many others hold this place dear to our hearts. This small village is a hidden gem, filled with a diverse town of people including tourists, international homemakers and locals. It is situated along the Kenyan Coastal strip. Little Italy is about 557.4 km away from Nairobi, the capital city of Kenya and 108.1 north of Mombasa. In addition, right next door is its neighbor, the rich tropical rainforest called Arabuko Sokoke National Park. This is an incredibly lush, tropical forest and supports a number of endemic and endangered animals. Perhaps, you dream of travelling to the Maldives or the Carribean, then you should travel here instead. It’s a lot less populated and the white beaches are vast and expansive. Better yet, everybody here is extremely helpful and proactive. 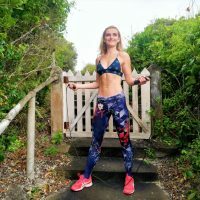 You can expect to see the locals up early getting their exercise in for the day on the beach or starting their work for the day. 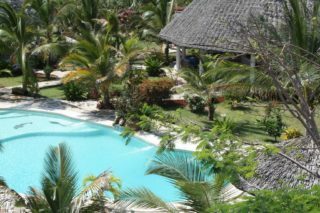 Watamu is fit, healthy and relaxed. They often like to say, ‘Pole Pole’ which means slowly – take it easy. The area is quiet and if you would like a slower pace of life then this is the destination for you. The fishermen take their boats out early in the morning and there’s always a guy ready to take you for a trip around the islands starting at 10 a.m. Have a delicious lunch, prepared with seafood fresh from the sea. The best part about this lifestyle is the freshness of food and the delicious Swahili coconut rice and fish curry. 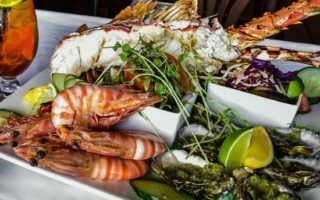 You can order your lobster tails, shrimps, red snapper, calamari, crab, prawns and coral fish from the fisherman directly. You might also want to explore the Mangroves and paddle board along Mida Creek. 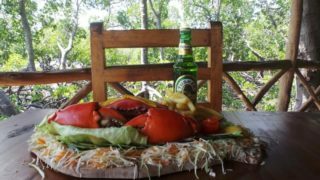 Why Is Watamu A Little Italy? As I said, when I first stepped foot onto Watamu soil I heard people speaking Italian. Immediately, I was intrigued. The fact that even the little children could speak it fascinated me. Then I discovered that the language is actually taught to Kenyan locals here and Italian is a compulsory subject in most schools. Why though? Well, it explains all the Italian restaurants, products and Gelato stores here. The Italian population that lives in Watamu and Malindi is huge. 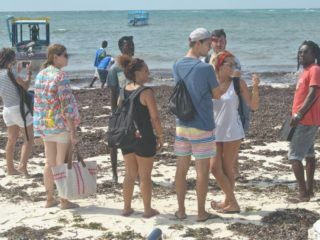 In addition, the number of Italian tourists that visit Watamu each year is just as big, if not more. Absolutely amazing! I mean, if I’m honest, sometimes walking on the streets you feel as if you’re walking through some kind of country-suburbian area based in Italy. The town is so heavily influenced by Italians that locals speak the language, and do business together. You could take a stroll down Watamu village, and see a wide range of Italian-style or Italian owned businesses. Don’t worry, I was just as curious you are as to why this massive Italian population exists. So I started to ask questions. I found out from my own research, residents and a couple of locals. Apparently, after the end of World War II, the Italians were given land in Watamu as a form of compensation. As a result of the locals’ kindness, the Italians were able to settle in the town with their families. Then, of course, the Italians needed to make money somehow, so they started their own businesses for a source of income. That’s why you’ll learn that the majority of the beach-front houses in these areas are owned by the Italians. According to reports, this all began in the 1970’s, during the construction and launch of San Marco Space Agency by the Italian government. These Italians workers fell in love with Malindi and Watamu and brought their families, friends and relatives. They haven’t stopped travelling here since and some have even intermarried with residents. Moreover, history shows that Italians own more than 50 hotels in the resort town and have employed more than 15,000 workers. My research found that Malindi has over 1,500 private villas and cottages, which provide 5,000-7,000 accommodation units for tourists and offer jobs to over 10,000 residents. 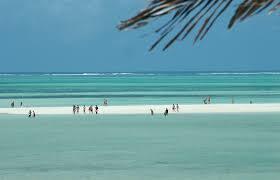 In addition, there are also about 30,000 tourists who visit Malindi annually. However, nothing matched 2007, when a record number of 80,000 Italians visited the resort town on holiday. Sadly, because of the world economic crisis that hit Italy hard, the numbers have dropped a bit. Some Italians who have grown up in Kenya say that they are very happy, because of this kind of unity between Italians and Kenyans. Many Italians say that the relationship with the Kenyans continues to grow and that Watamu and Malindi are nice places. And the people are very kind. I think apart from the beaches, many Italians love little Italy because it’s so close to the Tsavo National Park. People don’t only visit these parts to do good business. They also come here because it’s special and they feel good in their hearts. As I said, it’s a hidden gem. 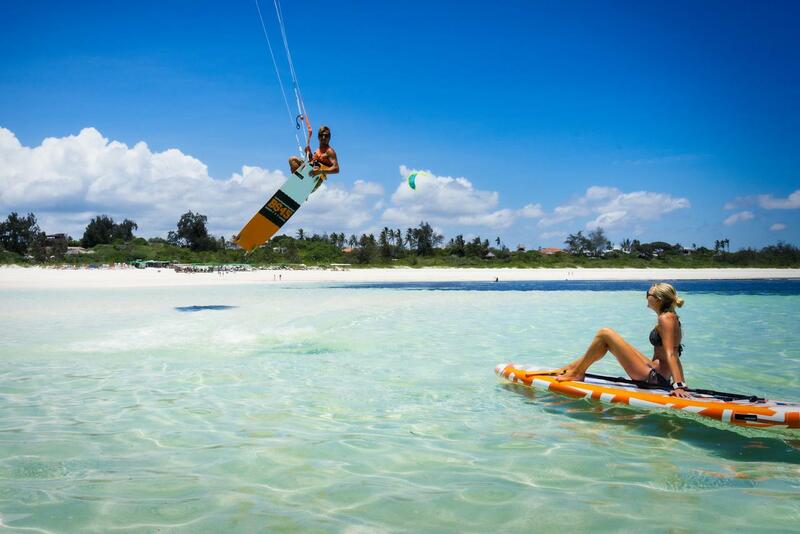 Watamu is a fun-filled town blessed by the hot African sun and white sand. It’s very relaxing and laid-back with a rich culture and history to explore. There is also tons to do with many water sports like as scuba diving and kite surfing. Watamu Kenya is probably one of the most special places you could visit in the world. This is because it has the ability to tap into your adventurous spirit. Find out more.